The University of Tulsa is a top 50 private research university where dedication, excellence, commitment and integrity are central to their mission. Founded in 1882, it has now reached the ranks of the top 100 national universities. 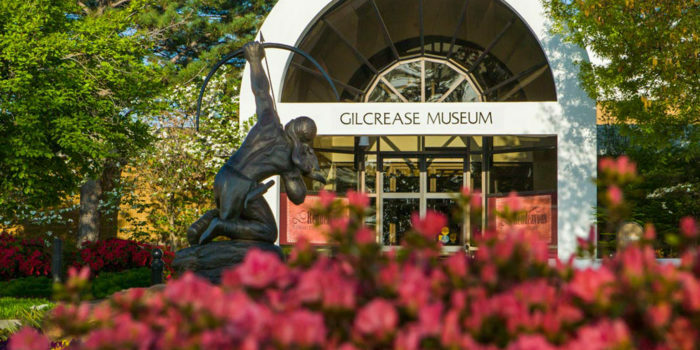 As one of the country’s top performing education institutions, the university was in need of a refreshed web presence that was worthy of their rank and could attract some of the nation’s best and brightest. 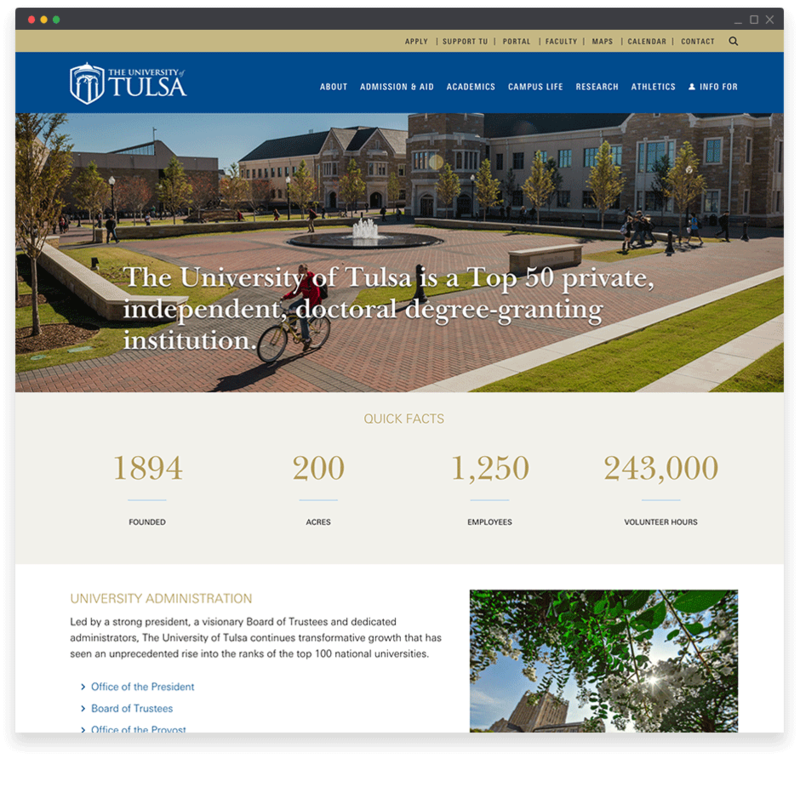 The University of Tulsa was eager to leverage WordPress as its content management system. 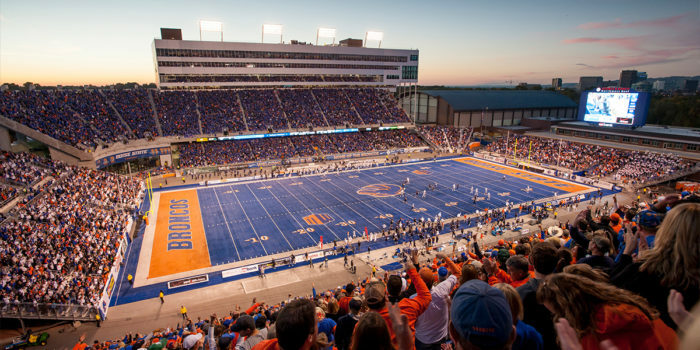 The new site would need to be easily editable and allow the internal marketing teams and admissions managers to make simple and straightforward updates. The Tulsa University team already had beautiful website designs created and were looking for a trustworthy partner that could bring them to life through a strong and reputable development process. We kicked off the project by conducting a thorough technology discovery, identifying the functionality and use cases of the provided designs, identifying dashboard and content management needs and diagramming functionality to be referenced throughout the project life cycle. Using the University’s original designs as a road map, we leveraged the use of modules to create unique and easy layouts that gives the internal team the flexibility to refine messaging, add new blog content, test calls to action and more. Additionally, we worked to identify and integrate multiple third-party plugins to work seamlessly with the new site to give its users the most robust experience possible. 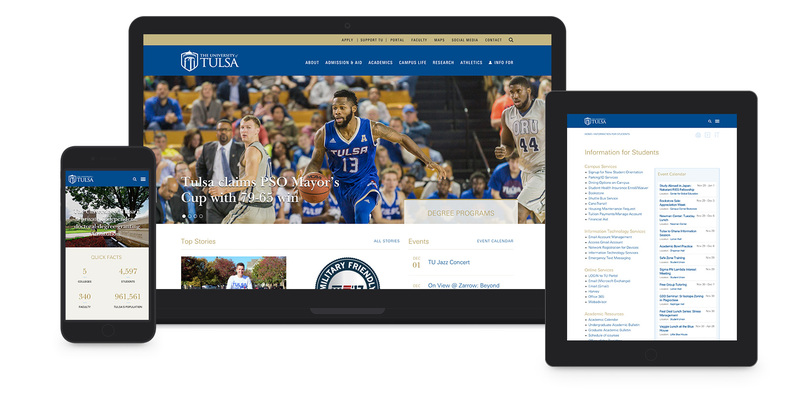 With a new platform and responsive site, The University of Tulsa is poised to share its engaging content and unique online experience with its audiences and has positioned itself as a forward-thinking industry leader.